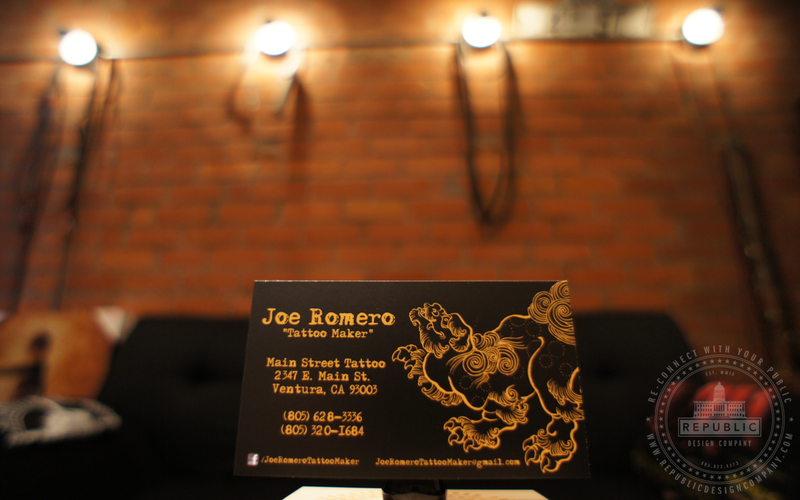 Joe Romero Tattoo Maker has been creating masterpiece tattoos for over 10 years. 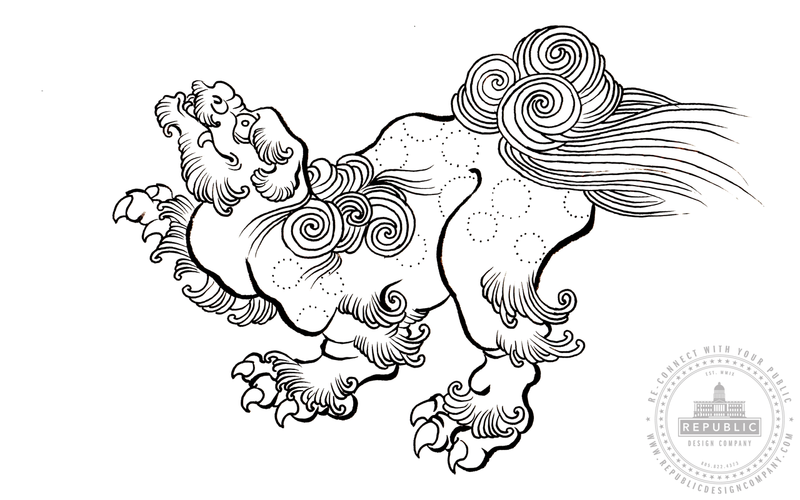 He sketches relentlessly and has unique, eclectic style that spans from “Classic Americana,” to “Traditional,” “Traditional Japanese,” “Hybrid Japanese,” all-of-which come together to a head, to create nothing less than ‘magic’! 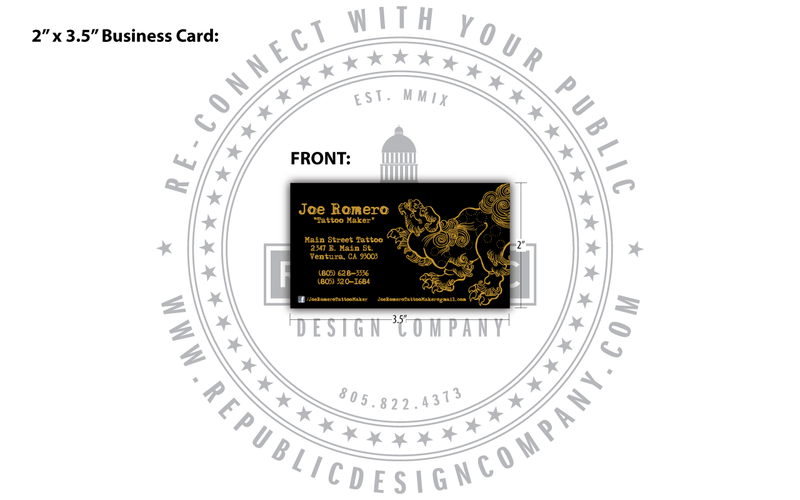 Republic Design Company had created several layouts for Joe Romero Tattoo Maker to choose from. It was ultimately Joe’s very own business card layout vision and instruction that made the final cut (pictured below) . Next up on the horizon are “lighters” and “t-shirts” with the same identity design.